A columbarium is a facility for the perpetual care of cremated remains. It may vary in size or location, but always consists of a series of niches for the use of families when the internment of cremated remains is appropriate. 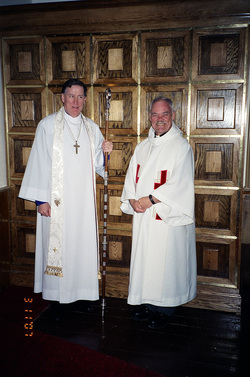 St. John’s Church, Moschelle, was set apart and adapted for this purpose on March 11, 2007 by the former congregation of St. John’s Church, the Parish of Annapolis, and the then Diocesan Bishop - the Rt. Rev. Fred Hiltz. The Parish still holds an annual service in the Columbarium on September 14th, Holy Cross Day.